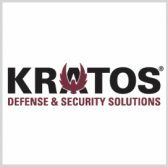 Kratos Defense and Security Solutions has established a facility in New South Wales, Australia, that will offer target/tactical autonomous drones and range support systems to defense clients in the country. The company said Thursday it opened the NSW office as its partner Air Affairs Australia expanded operations with a new facility and relocated headquarters. Eric DeMarco, president and CEO of Kratos, said the company aims has invested approximately $85 million to develop and launch a UAS suite designed for U.S. and international defense customers. Marise Payne, Australian minister for defense, said the use of aerial target systems can help the country’s military personnel to conduct specialized training meant to hone their threat response skills. Kratos noted it identified new business opportunities in Australia for each of the company’s five divisions.